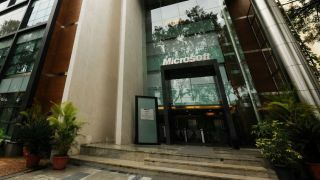 Microsoft is set to announce its biggest job cuts in five years according to a report from Bloomberg, who cited people with knowledge of the company's plans. The move comes after Microsoft purchased Nokia's devices division and increased the company's headcount to 127,000, almost as much as Google and Apple put together. Not much is known about the rumoured reductions other than it may be announced later this week and will affect parts that overlap including marketing and engineering. The last big headcount reduction at Microsoft happened in 2009 when nearly 6000 staff were pink-slipped; Microsoft's next earnings report is scheduled for 22nd July. Nadella circulated a memo last week urging Microsoft's employees to focus on the internet of things, mobility and the cloud in a bid to reinvent the business and compete better with the likes of Google, Apple and even Amazon. Microsoft shares remained flat yesterday, very close to its 52-week high of $42.45 (about £25, AU$45), which values the company at nearly $350 billion, less than either Google ($400 billion, £235 billion, AU$ 426 billion) or Apple ($580 billion, £340 billion, AU$ 620 billion).